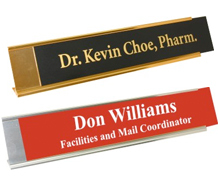 Welcome to Name Tag Country! 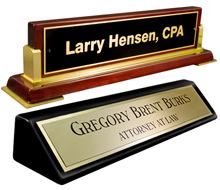 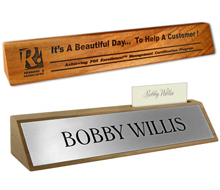 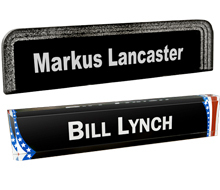 We offer many different types desk name plates including Metal, Rosewood, Acrylic and Marble. 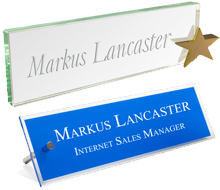 Our Desk Plates are great forindividuals as well as coporations. 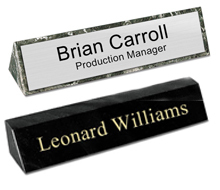 When you see the craftsmanship of ourproducts we think you will agree that Name Tag Country is the “Gold Standard” inpersonal identification.